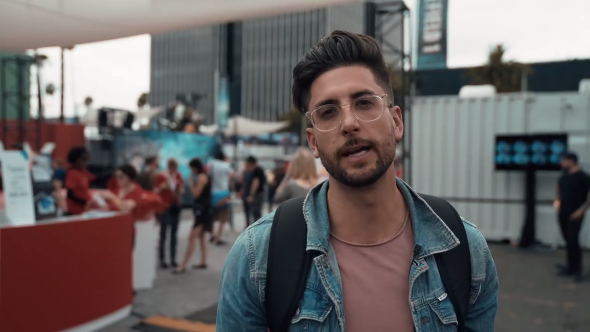 A YouTuber named Jesse Wellens from the show Prank Academy (a YouTube Red series) was invited, despite not creating any videogame content, to host the EA Play event during E3 2017. He was meant to introduce Need for Speed: Payback and totally choked. What else happened during E3? All this. It’s an embarrassing video, to be sure, which details why EA may have thought about hiring different hosts other than social media and YouTube “influencers” to host their show, but everyone gets nervous now and then. In Wellens’ case, it looks like he choked when it came to reading off of the teleprompter, which resulted in a flub-up that took the internet by storm. As Wellens attempted to introduce the upcoming Need for Speed Payback, he stumbled over his words, repeated himself, and awkwardly went to sum up everything he had just said another time before he was able to walk off-camera. Wellens has taken to his own YouTube channel to discuss the snafu in a behind-the-scenes look at the situation. Fortunately for him, this time he has jump cuts to cover for him.